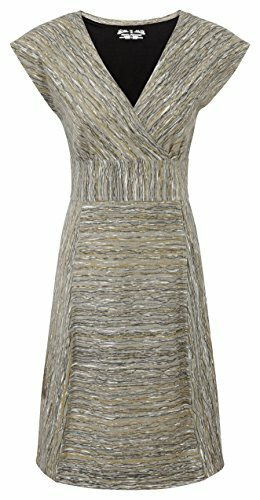 Royal Robbins Women's Essential Rio Dress, Taupe, Small by Royal Robbins at Average Adventures. MPN: 36098. Hurry! Limited time offer. Offer valid only while supplies last. The essential rio dress combines style, with a colorful print and flattering empire waist, with a comfortable and easy to wear stretch jersey fabric. The essential rio dress combines style, with a colorful print and flattering empire waist, with a comfortable and easy to wear stretch jersey fabric. With sun protection UPF 50+ protection, moisture wicking, and wrinkle resistance.